Fr Michael Clifton, long time pastor of the faithful, former archivist of Southwark, learned historian, kindly teacher of schoolboys (including me, nearly 40 years ago) cricket coach, model railway enthusiast, and warm friend and mentor of younger clergy now feels that he must close his blog because he has been threatened with legal action by Monsignor Basil Loftus who writes a weekly column for the Catholic Times. Although the proposed litigation is unlikely to be taken seriously by courts in Britain (see my post Singh v Singh and the unlikelihood of a heresy trial in the British courts) I can understand Fr Clilfton's reluctance to be subjected to all the strain and anxiety that even the threat of such a process might engender but I am saddened to think that we can no longer benefit from his honest, good humoured comments. This is an important justice issue of freedom of speech that affects a fundamental right to debate in the Church, it should not be ignored! So too, when his flesh was raised to life, we refer to this again as his resurrection, not as though he had fallen into corruption--God forbid--but because his body had been raised again. He descended in the soul, rose in the flesh, and ascended in both. St Thomas Aquinas deals skilfully with various questions related to Christ's risen body in the Summa Theologica, part 3, question 54. In the first article of the question, the Angelic Doctor replies specifically to the objection which Monsignor Loftus raises (as though it were new) about Christ's body entering through doors that were closed. It would be tedious and unnecessary to detail all of the various ways in which Monsignor Loftus has contradicted Pope Benedict's project of the hermeneutic of continuity in his analysis of the second Vatican Council. Suffice it to say that his weekly articles for the Catholic Times are considered by many good Catholics a negative element in that otherwise worthy newspaper which features, for example, an excellent weekly article by my good friend Fr Francis Marsden. A while back, during a controversy about traditional liturgy in my parish, Monsignor Loftus wrote to The Tablet (quae delenda est) to encourage my parishioners not to contribute financially to my parish. I suppose I would have had some ground to sue him in the civil or ecclesiastical courts for this, but I felt that it was more sensible simply to offer a reasoned refutation of the claims made in his letter and then carry on with my life. Social interaction on the internet has its pitfalls of course, and we have all had some comments that we might consider offensive. 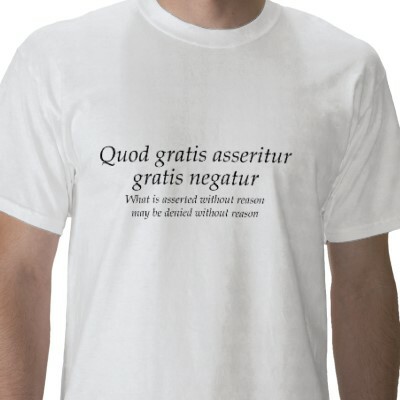 The internet offers us the opportunity to reply according to the scholastic maxim "quod gratis asseritur gratis negatur". Litigation might be necessary in some extreme circumstances but it seems to me a foolish and, frankly, uncouth path to take in the face of the ordinary business of theological discussion. St Mary Magdalen's Brighton: Fr Michael Clifton's last post? Libera me: Contemptible . . . what else can you call it?